As the Internet has become more and more prevalent, today almost all homes have built a home network via a network switch. Network switches keep multiple devices like computers, tablets connected, enabling the networked devices to talk to each other and share files like the family photo album or back up files to a number of devices at once. But do you know how to select the best Gigabit switch for the home network since there are so many types of Gigabit switches on the market? Why Do You Need a Gigabit Switch for Home Network? Implementing a Gigabit switch for the home network would ensure your network security. 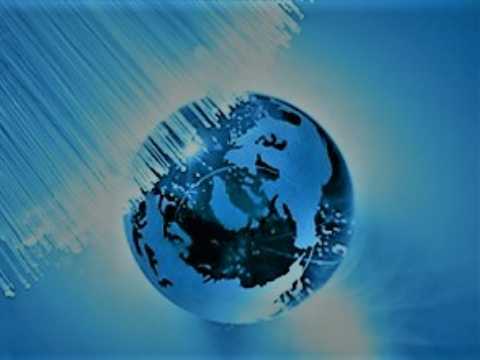 Since a Gigabit Ethernet switch can work at the Data Link Layer of the OSI model, it will recognize what devices are connected to it by learning the device’s MAC address, which aids in keeping data secured by preventing unwanted access. Besides, most network switches support VLAN, so users can set up one VLAN for their houses and one VLAN for the wireless. And users can allow both VLANs to talk to the router but deny the ability to talk to each other. Users could even lock down the wireless VLAN and only allow it to browse the web but nothing else. Thus in these cases, you can use the network switch to manage your network and ensure its safety. In addition, if you are a professional gamer or videographer, then you must have lots of computers and network devices to run. Therefore, you need a Gigabit switch to manage and connect your equipment. 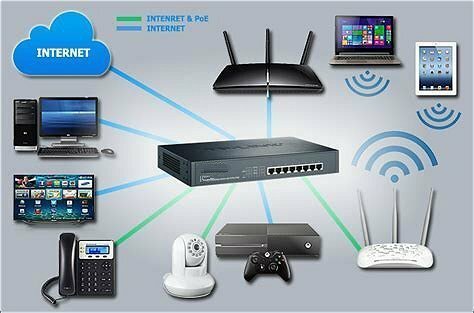 How to Select the Best Gigabit Switch for Home Network? Here are some considerations to help you to choose the best Gigabit switch for a home network. How Many Ports Do I Need? Network switches come with varying numbers of ports. The more ports the Gigabit switch has, the more devices you can connect to the network. When choosing a switch, you need to consider that whether the interfaces are enough to support the future upgrade. It’s better to have a switch that has more interfaces than the actual need. For home use, a 16 port Gigabit switch or 24 port Gigabit switch is a wise choice. How Much Speed Will the Switch Provide? To satisfy different demands, the Gigabit switches support up to 15Mpps, 95Mpps, and 130Mpps forwarding rate. So users can choose one based on the required forwarding speed. What Level of Technical Support Do I Need? How easy is it to configure the switch and is there a local support team if I run into any problems? If the switch breaks down, you can contact the local technical support immediately. Thus, have a good understanding of the level of support, you can save hassle and improve uptime. Considering all the factors, I recommend some 24 port Gigabit switches as follows that is made by FS.COM. FS can provide local support in the USA, UK, Germany, Australia, and Singapore. If you want a PoE switch, S1600-24T4F is a good choice. If you want a stackable switch, S3800-24T4S and S3900-24T4S both are the ideal products. Note that S3900-24T4F uses the fanless design, which can provide a quiet environment for you. Therefore, with the same switching capacity and forwarding rate, S3900-24T4S is the highly cost-effective choice. Choosing the best Gigabit switch for home network allows users to enjoy smooth gaming and streaming. If you are looking for a home network switch, FS is ready to offer you a wide range of network switches including 10GbE switch, 40G switch and even 100G switch. 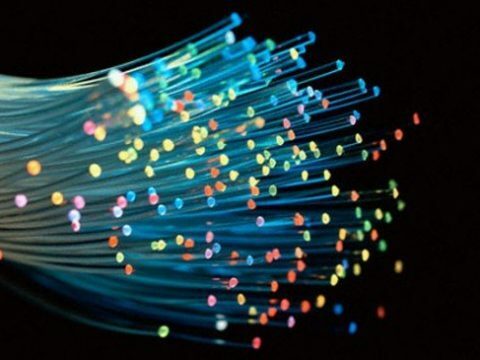 Copper SFP vs Fiber SFP – Which One is Better? 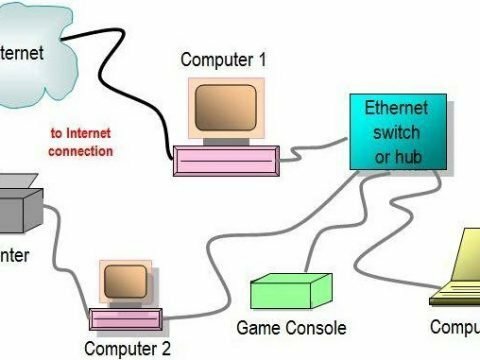 What Is an Ethernet Switch and How to Use It? ← How to Use the Home Patch Panel ?